When you see your baby breathless and gasping for air, you know you need to get him immediate medical care. For us in the United States, we could simply phone 9-1-1 or the baby’s doctor. But for so many parents in the world there is little or no medical care available for them to help their child. 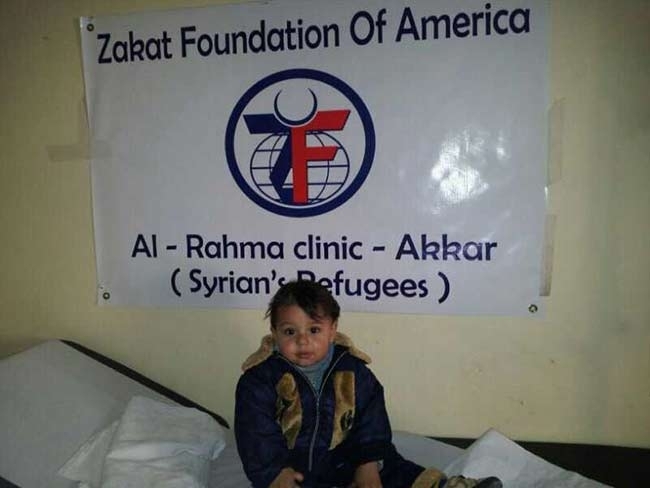 This is true for many Syrian refugees in Lebanon, which prompted Zakat Foundation of America (ZF) to establish free clinics in the area. As you can imagine, many Syrian refugees are living under incredibly stressful conditions, even after they’ve escaped their homeland. The Mohammad family in Al Amayer, Lebanon is a typical refugee family. They live without knowing what became of some of the family members they left behind, and whether their house and belongings were destroyed. The father is a day laborer earning 10 dollars a day, an inadequate salary to provide for a family of four. The apartment they rent has inadequate heating and ventilation, which makes the family susceptible to disease. In these conditions, their youngest child, eight-month old Farouk, developed asthma that became chronically worse. In their case, there was an option available for them: the ZF clinic in nearby Wadi Khaled. Our clinic took care of the baby and offered the necessary medicines free of charge. The baby is now better and his parents are grateful to ZF. ZF’s two Lebanese clinics have served more than 10,000 patients, providing physical exams, medicine and follow-up treatments to needy patients free of charge. You can ensure that other babies get the help they need by donating to help the people of Syria today.